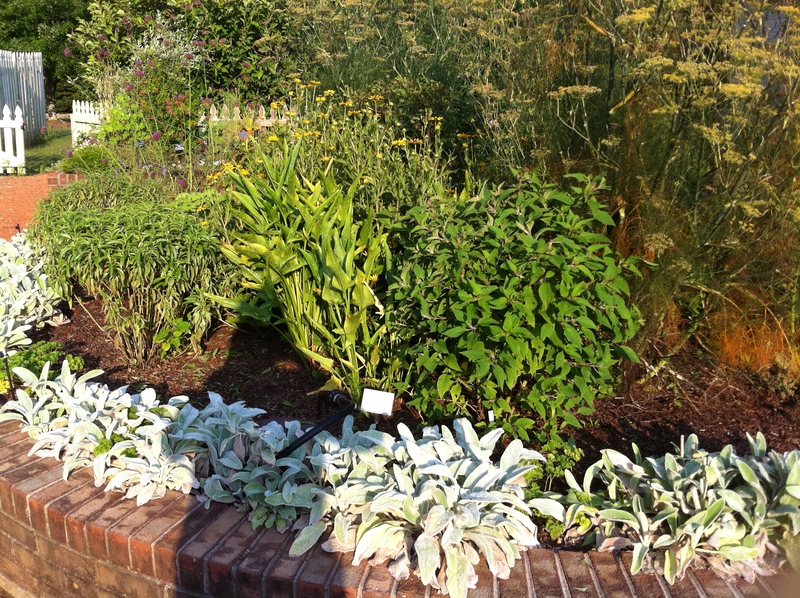 I am putting up 2 before & after pictures of the Tussie Mussie Bed (If you don’t know what it is, Google it), I am responsible for in the Herb Garden of Huntsville Botanical Garden. 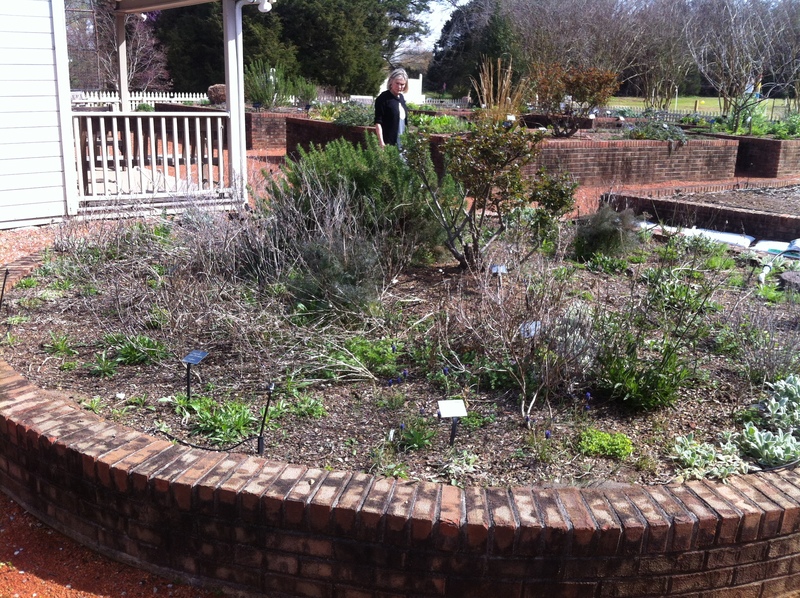 As you can see, it was rough and barely had anything in it but a nice rose bush in middle and a rather large rosemary bush. 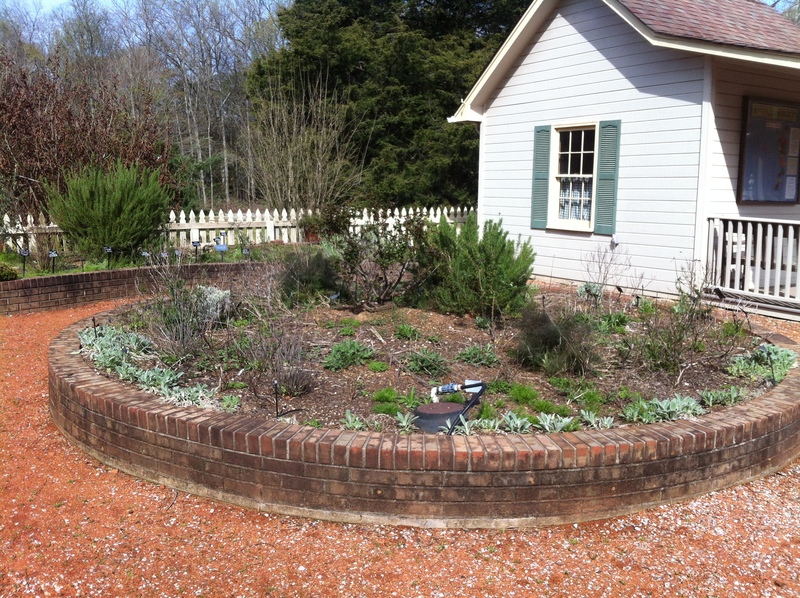 Lots of planting and mulch, it began to bloom with flowers and herbs. I am now deadheading and pulling out spent plant to prepare for winter. 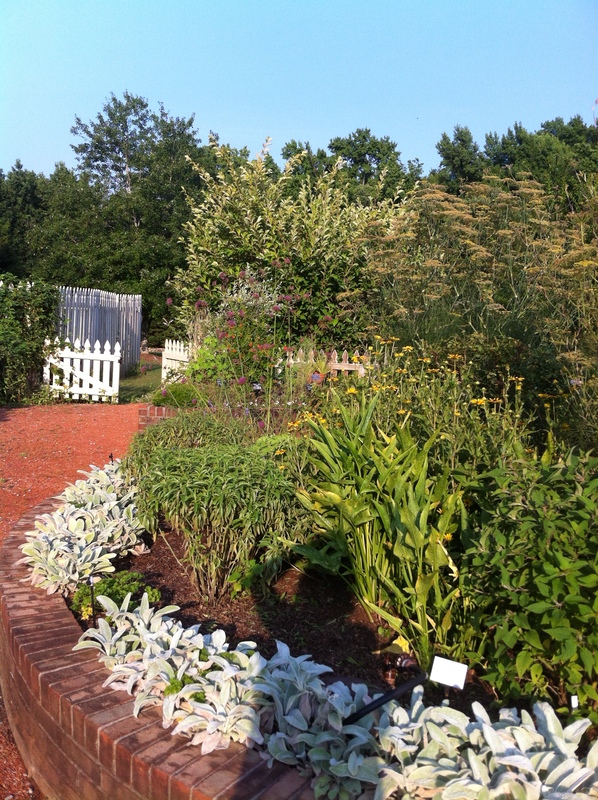 Yes, gardening can be work, but like going to the gym-if you stick to it you will get results. Looks great Barbara! It needed help!